BUENOS AIRES, Apr 28 2010 (IPS) - Fatal accidents at coalmines, like the recent tragedies in China and the United States, cause great public alarm. But U.S. physician Alan Lockwood warns that many more deaths are caused by the pollution that comes from the use of coal as an energy source. 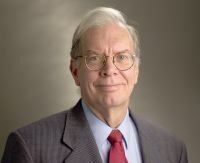 Backed by studies from the organisation Physicians for Social Responsibility (affiliated with the International Physicians for the Prevention of Nuclear War, 1985 Nobel Peace Prize winner), Lockwood asserts that coal causes heart and chronic respiratory diseases, strokes and cancer, which are among the five leading causes of death in the United States. He and other experts published their conclusions last November in the report “Coal’s Assault on Human Health.” The document warns about the diseases caused by coal every step of the way, from the time it is mined to the waste it produces when it is burned to generate electricity. Despite the harm to human health and to the atmosphere in the form of greenhouse gas emissions, coal remains the leading source of the world’s electrical energy matrix. China, United States, South Africa, Poland, Australia and Israel, among other countries, produce most of their electricity from this mineral. Greenpeace Argentina, which is protesting the construction of a coal-fired power plant in Río Turbio, in the southern province of Santa Cruz, invited Lockwood to Buenos Aires, which led to this dialogue with Tierramérica. Q: What is the impact of coal production and use on human health? A: In the United States, tens of thousands of people die every year from pollution that is caused by burning coal and many more have serious or minor illnesses. These include respiratory diseases like asthma, chronic obstructive pulmonary disease, emphysema, bronchitis, lung cancer, heart attack, and stroke. ENERGY: Coal-Fired Power on the Way Out? Q: Are these health effects in addition to those resulting from climate change? A: Yes, absolutely. Almost everyone knows about carbon dioxide and global warming but there is also a very large amount of methane that comes from coalmines. It’s the fourth leading source of methane in the world … and it’s more than 20 times more pollutant than carbon dioxide. This increases the diseases associated with global warming, like dengue, along with malaria, and diarrhoea from floods and polluted water supplies, rising sea level, and many other things that have terrible effects on health. Q: Which are the most polluting stages of the coal production process? A: Burning the coal. But every step using coal, from the time that the miners are working to remove the coal from the ground until the time that the ash from burning coal is put in some waste disposal site, there is a negative effect on health. Q: What toxic substances result from burning the coal? A: The biggest ones are sulphur dioxide, nitrogen oxides, mercury, and particulates that are very small, 2.5 micrometres or less. There are also radioactive materials like uranium and thorium in the coal that ends up in the atmosphere and in the ash in the coal waste disposal sites. Q: Do people have to live close to a coalmine or power plant to be affected? A: Not necessarily, but the closer you are to the power plant the more dangerous it is. But some of these pollutants travel very long distances before they may be inhaled or find their way into fish, as mercury does. Mercury, for example, remains in the air and comes down in the rain, then ends up in the water and then the fish, and we eat the fish. There’s no way you can escape coal. Q: Why are mining accidents not included in the report as part of coal’s impacts on human health? A: There is something in the report about the general dangers of coal mining… I am writing a book that will be published in two years with a larger section about that. In the United States, coal-mining accidents are very big news now because of the recent accident in West Virginia (where an explosion killed 29 miners), but in China thousands of people die every year in coal mine accidents. Q: So these accidents should be included as part of the effects on human health? A: Yes. But despite these terrible accidents, which make big news, more than 10 or 20 thousand people die each year in the U.S. because of coal-related illnesses, and the news says nothing about those people. Q: As a scientist, your recommendation is no more coal plants, no more coal mines? A: What should be done is develop alternative energies like wind, solar, tidal and hydroelectric power, which don’t produce carbon dioxide, sulphur, nitrogen oxide or mercury. These renewable sources lend themselves to efficient use of electricity. It’s a good strategy for protecting the environment, for health and for creating jobs and improving the economy.